HomeAll Breeds BlogHeifers eating your profit? Heifers eating into your profit? Raising quality replacement stock involves spending money without an immediate return. UW-Madison’s Dairy Management Specialist Matt Akins will talk through the complex issues that interfere with having the right amount of high-quality heifers. 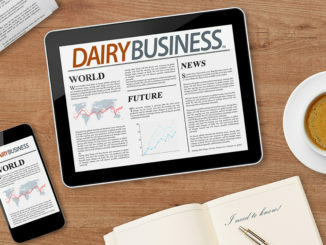 Akins will pinpoint the areas where you can take a bite out of costs and discuss some of the dairy management tools currently available to determine whether you should keep, sell or cull from your heifer inventory. Matt Akins is a dairy management specialist at UW-Madison working with producers and industry professionals with a specific focus on the management and nutrition of dairy replacement heifers. He also collaborates closely with scientists at the USDA-ARS Institute for Environmentally Integrated Dairy Management at the Marshfield Station, working to solve problems related to interactions between agronomic practices, herd management protocols, animal facilities, and the environmental impact of dairy operations. Can’t make this time? It’s Ok!